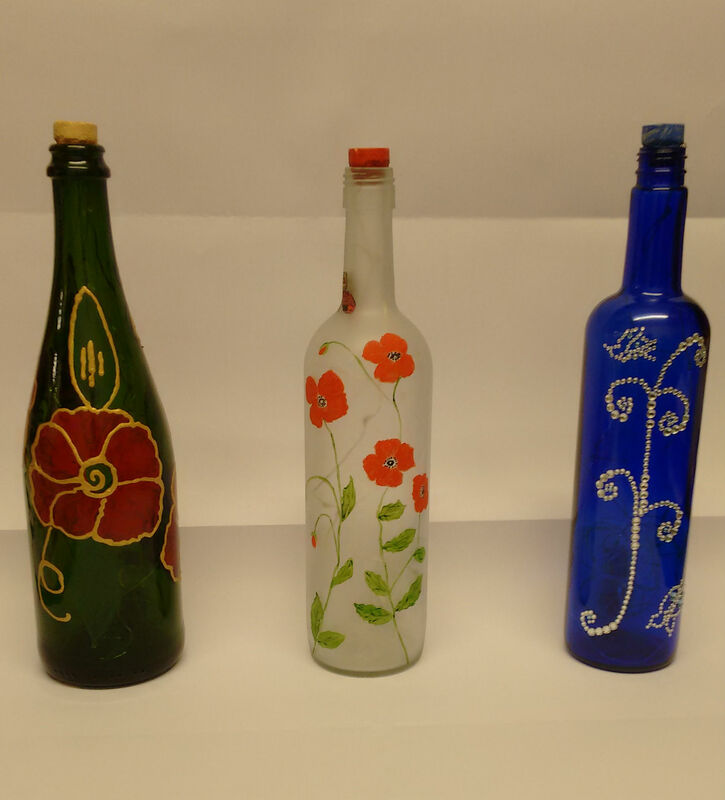 Last week we mentioned our handmade gift boxes and this week we’re pleased to announce another craft product in the form of hand painted bottles which have fairy lights inside them. 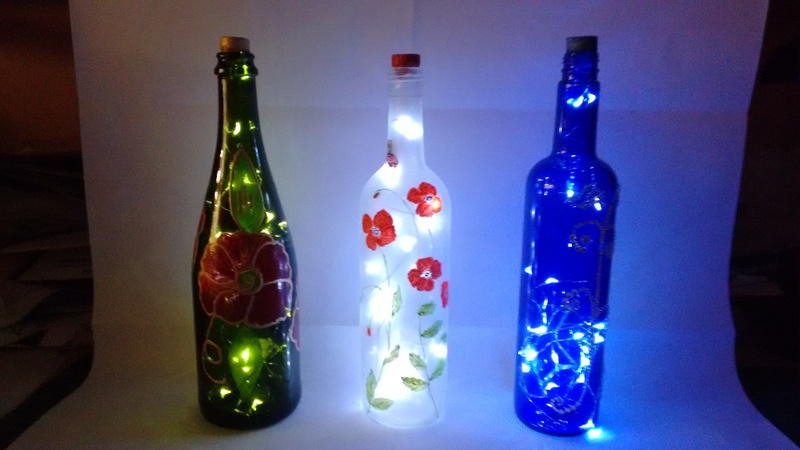 They would make an ideal gift and light for the last of these warm evenings outside, we’re selling them for £12.95 each. We have two specially made for Halloween.